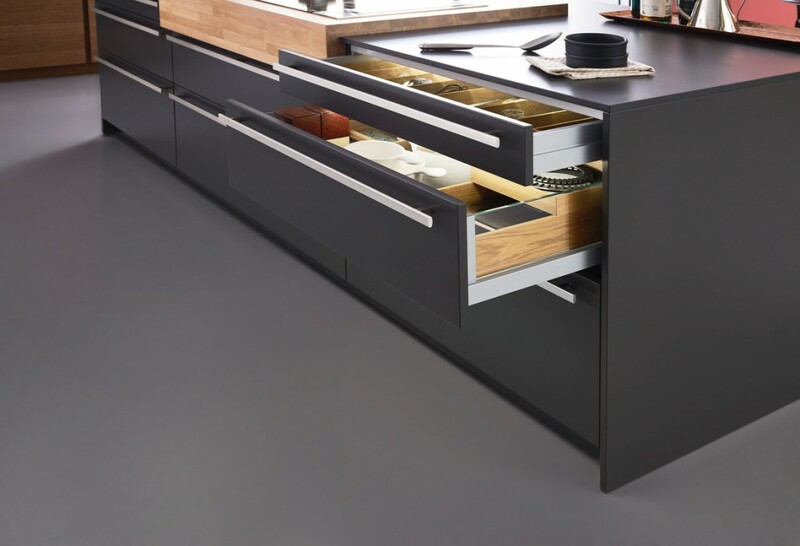 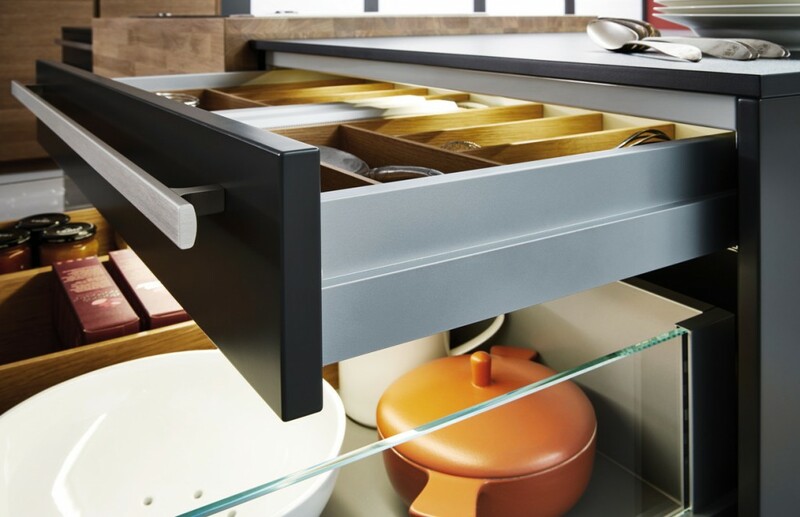 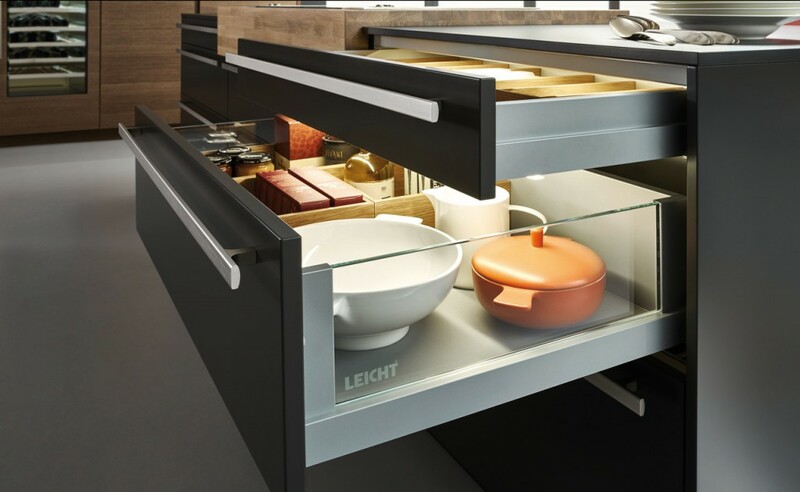 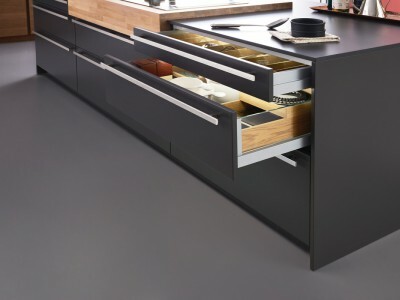 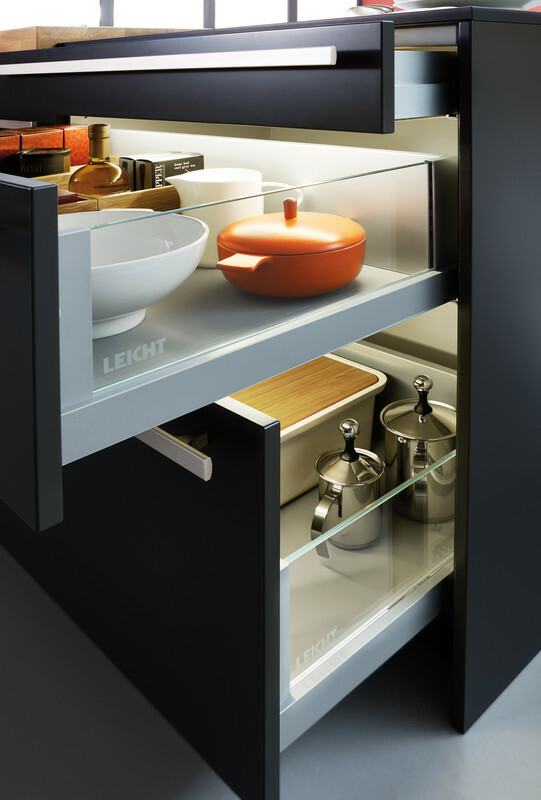 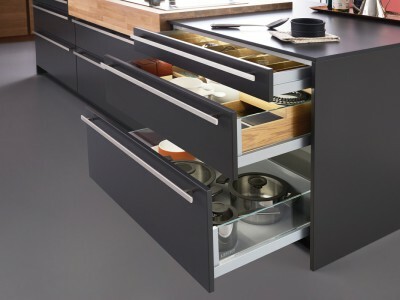 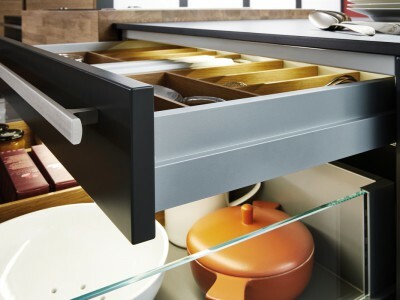 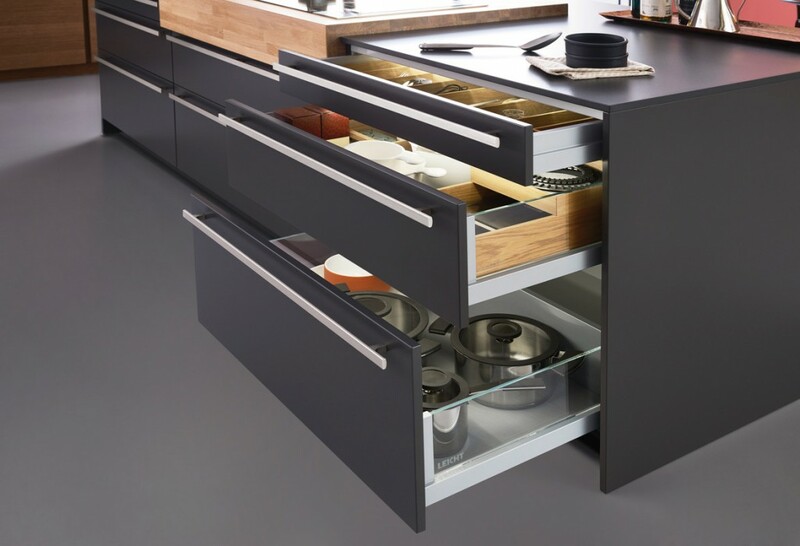 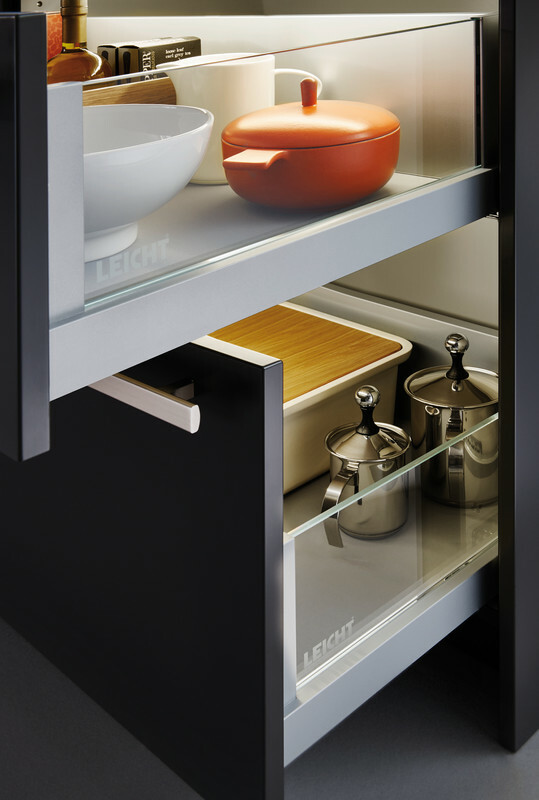 Straightforward with tight edge radii, featuring a reduced amount of metal with a high proportion of glass, the new frame reflects the modern aesthetics of a LEICHT kitchen. 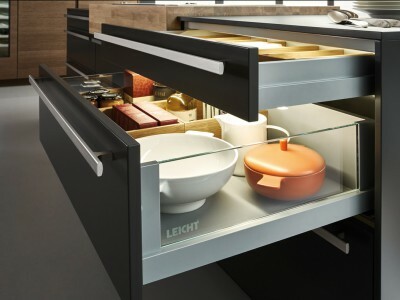 The sides of the pullouts feature large expanses of top-quality labelled clear glass that ensures maximum transparency and elegance – and at the same time allows you to see exactly what’s inside. 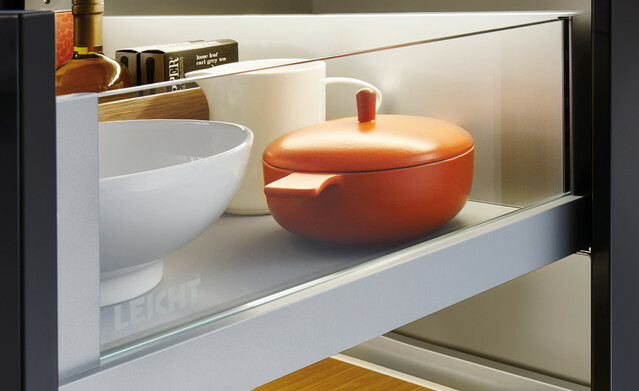 The entire frame looks more delicate and lightweight thanks to the large proportion of glass. 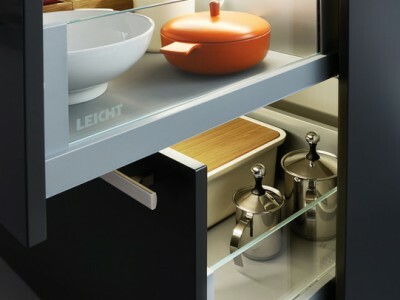 The L3 interior frame system used by LEICHT is the only one worldwide that offers the advantages of a double-walled frame – namely clean movement and high payload without dropping – and at the same time is not visible, as if it was underneath the surface. 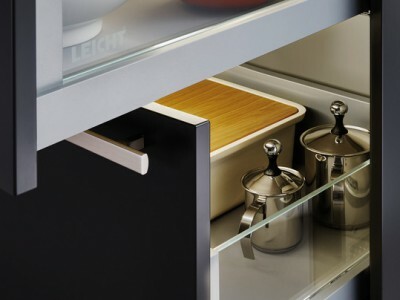 In daily use, you will love its quiet mechanism, perfect closing characteristics and the minimal amount of strength needed for opening.